As a previous post on this blog discussed, although all spinal cord injuries are permanent since the spinal cord itself does not heal, not all such injuries will land a victim in a wheelchair. If the injury is in the lower back, a person may still be able to walk and do some of the things they used to do, although they could experience incontinence and difficulty walking without some sort of help. While in some sense a Wilmington resident is probably relieved to walk away from an injury still being able to move all four limbs, in another sense, these injuries can be difficult to get full and fair compensation for since they aren’t the classic type of spinal cord injury, that is, the type that leads to paralysis. As such, an insurance company or the public at large may have a tendency, even unconsciously, to minimize the injury and not see how it affects the professional and personal life of the victim. 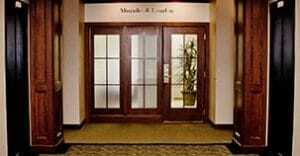 This is where the experienced attorneys at our law office can be of valuable assistance. Using a network of financial and medical experts and relying on our trial experience and knowledge of the law, we can help you give a clear picture of the full extent of your injuries, even when they do not include total paralysis. While we obviously cannot promise a result in a given case, we have a track record of success in neck and back cases in which we were able to secure a noteworthy verdict for our client. We are up to the fight that often ensues after a victim claims compensation for injuries following neck or back trauma. All spinal cord injuries could rightly be called “very serious,” and it is in fact a rare day when a person is able to walk away from a spinal cord injury and not experience some sort of permanent handicap which will affect the way the victim lives the rest of his or her life. However, it is equally important to remember that not all spinal cord injuries will end in complete paralysis and, in some cases, a victim may not be completely immobile at all. The extent of the injury usually depends on where in the backbone the injury is located. If the damage to the spinal cord is located closer to the head, a victim will likely suffer complete paralysis of all four limbs and may not even be able to breathe or swallow effectively. They will likely require constant medical attention and treatment for the rest of their lives. An injury in the middle of the back will likely mean a person will be able to use his or her upper body but will have paralysis in the legs. While this type of victim might be able to function with some level of independence, obviously he or she will be dealing with a serious and permanent disability. A person with an injury in the lower back, depending on the exact location of the injury and other circumstances, has a good chance of still being able to walk, although perhaps not terribly well. Incontinency may also be an issue, but, on the whole, the person may be able to continue performing all of their daily life functions and may even be able to return to work. Still, they will face several physical and emotional challenges since doing their daily tasks will be much more difficult. The residents of Wilmington, Delaware know that spinal cord injuries are serious matters that people should try to avoid. A significant spinal cord injury can leave a person paralyzed, sometimes even from the neck down. For almost anyone, being paralyzed will mean the loss of work and will most certainly require significant medical treatment and rehabilitation. Depending on the extent of the paralysis, a person could need constant help performing daily life functions. Although there is a lot of emphasis and news attention on spinal cord injuries that happen in connection with sports, less than 10 percent of spinal cord injuries are related to sporting events, with the most dangerous sport in this respect being high diving. To give a rough comparison, the number of spinal cord injuries due to sporting is only slightly higher than injuries related to surgical or other medical malpractice. By far and away, the most common cause of spinal cord injuries is injuries related to automobile or other motor vehicle accidents. Auto and other accidents, including those involving motorcycles, ATVs and bicycles, account for well over one-third of spinal cord injuries. Falling, which includes common slips and falls, are the second leading cause of spinal cord injuries, being related to almost 30 percent of them. What this should tell Delaware residents is that many times, common acts of carelessness and thoughtlessness lead to spinal cord injuries. A negligent driver can easily leave a person paralyzed, as can a careless landowner who forgets to clean up ice and snow or otherwise does not take care to make his or her premises safe. Wilmington residents and people who live in other part of Delaware most likely know that a spinal cord injury is a very serious matter. If someone’s spinal cord gets damaged significantly in an accident, then he or she may struggle to walk or even be able to move his or her arms and neck again. This will obviously affect their ability to go to work, do the activities they enjoy or even perform basic daily functions. What some might not realize, however, is the economic impact of a spinal cord injury. In a sense, they are a special type of personal injury case. Even if the person or business responsible for the injury is willing to admit that their negligence caused the accident, there are often significant disputes about how much compensation is appropriate. The trick in these sorts of cases is that the victim has to prove not only what the injury has cost them to the point a trial but also what the accident will cost them in the future, and for spinal cord injuries, costs are ongoing and generally quite expensive. The bills and losses can easily exceed millions of dollars, even for someone who was earning a relatively modest income. The approach of our law office in spinal cord injury cases is to make absolutely sure we understand and have the evidence to effective communicate each and every way the injury affects our clients. We rely not only doctors but also on financial experts and “life-care planners” to accurately calculate exactly how much our clients need. It probably comes as no surprise to many residents in Delaware that long-term medical care tends to be exorbitantly expensive. Even seeing a doctor for a simple check up can result in a large medical bill; however, for those with injuries to their spinal cord, their financial future can be incredibly uncertain. A skilled spinal cord injury attorney can help an accident victim reclaim their financial footing by obtaining compensation for damages. Many spinal cord injuries are caused by devastating accidents. These often include car accidents, truck and motorcycle accidents, bicycling and pedestrian accidents as well as serious sports or recreation accidents. In any case, one’s post-accident recovery is often complex if the incident caused damage to the victim’s spinal cord. Unlike a broken bone, for instance, a spinal cord injury can’t just be healed in a specific amount of time. The injured person usually has to relearn countless life skills, undergo extensive rehabilitation for an indefinite amount of time and receive long-term medical care. The costs of this ongoing recovery tend to be immense, and spinal cord injury victims often face an uphill battle regarding the recovery of their finances after an accident. However, going to an attorney following such a severe accident can accomplish two objectives: it can give the victim an assertive, knowledgeable ally during a confusing time, and it can also begin the process of obtaining compensation for injury. An accident caused by another person’s negligence, such as a truck accident caused by texting and driving, doesn’t have to become financially devastating as well as physically damaging. Delaware spinal cord injury attorneys Murphy & Landon have dealt with numerous complex personal injury cases in the past and are ready to thoroughly evaluate new clients’ unique circumstances. In addition to our knowledgeable and skilled legal team, we our firm has access to resources such as economic experts, medical professionals and even life care planners who can provide a long-term outlook. By combining expertise with compassion and assertiveness, the Wilmington personal injury team offers accident victims renewed hope and reassurance.